Things are starting to get very, very interesting in action-RTS land. As Valve reveal launch three new heroes into DOTA 2, Riot have begun to tease their next hero: Diana: the Scorn of the Moon. And she’s got lore and everything. 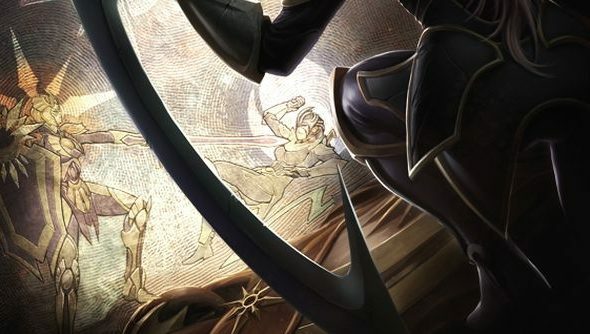 The artwork released shows her brooding over a battle between Leona and a what looks like Diana. That would make sense: Leona is allied to the sun, while Diana clearly likes the night. And sometimes, the Day beats the Night. Speculation on the forums suggest she’ll be a full on brawer. We’ll know more soon.